Jim Craig played goaltender in the NHL for the Atlanta Flames, Boston Bruins, and Minnesota North Stars between 1980 and 1983 in 30 regular season games. Craig was also the goalie for the 1980 “Miracle On Ice” U.S. Olympic hockey team when the United States defeated the favored team from the Soviet Union. Jim Craig was drafted by the Atlanta Flames as the 72nd pick in 1977. Craig joined the Flames shortly after the Olympics and won his first game as an NHL professional. He served as the Bruins’ backup goaltender during the 1980-81 regular season. In 1983 he played again for the United States in the 1983 IIHF Pool B tournament. Craig was named goaltender of the tournament and the Minnesota North Stars promptly signed him to a free agent contract. He would make a final three NHL appearances for the North Stars in 1984 before retiring from hockey. Sports Speakers 360 is a booking agent for pro athletes. 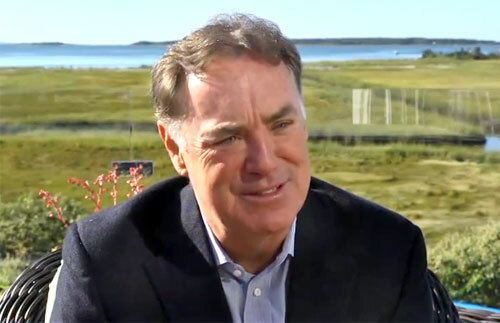 If you would like to book Jim Craig for a speaking engagement, appearance or endorsement, contact a Jim Craig booking agent for fees at 1.855.303.5450.